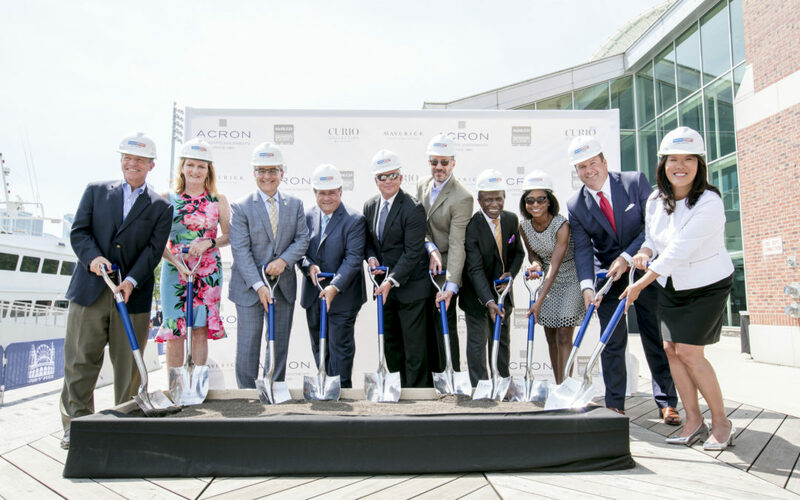 KOO LLC, the architect, and interior designer, for the Navy Pier Hotel and Rooftop Bar, was joined by; ACRON, a global real estate investment firm; Maverick Hotels & Restaurants, a leading hotel management and development company; and Navy Pier, Chicago’s iconic lakefront destination; to break ground on July 11th, 2018 for Navy Pier’s first hotel. The highly anticipated property, scheduled to open spring 2020, will operate under the exclusive Curio Collection by Hilton, which includes more than 50 remarkable independent hotels around the world. KOO LLC is thrilled to be apart of this once in a lifetime project. The hotel will allow guests to extend their visit and experience Navy Pier and Chicago in an exciting new light, the new hotel will be located adjacent to Festival Hall at the eastern end of the complex. 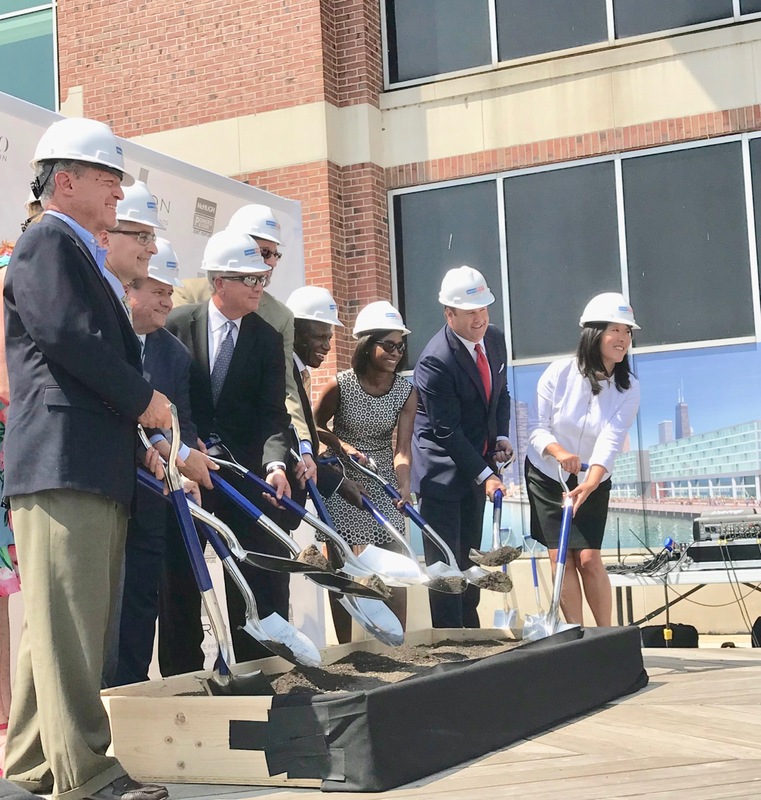 222 guest rooms will feature floor to ceiling windows that showcase breathtaking views of the city’s famed skyline, Lake Michigan, and the Pier. Guests will also enjoy a high-energy first-floor restaurant, a state of the art fitness center and an unparalleled 30,000-square-foot rooftop restaurant, bar and event space. The Navy Pier hotel will join existing and coming attractions, including the iconic Centennial Wheel; Festival Hall, the Pier’s 170,000 square-foot exhibition space; the stunning 13-acre Polk Bros Park; the recently renovated Fifth Third Bank Family Pavilion, comprised of dozens of Chicago-centric experiences in dining, entertainment, leisure and retail; the upcoming Peoples Energy Welcome Pavilion; and more.